Smartphone users spend almost 90% of their time on devices using mobile apps. Apps offer an incredible opportunity for brands to connect with customers. They can boost brand recognition and drive sales – in-app, in-store or online. However, many apps fail; especially branded ones. In fact, 90% of branded apps have fewer than ten thousand downloads. We know that the most successful apps are built with the user in mind – they entice users to download by offering real value, utility, or entertainment. Many of the 90% of branded apps that are failing meet these basic requirements – so what are mobile marketers missing? All three of these layers of app marketing are important, and in many ways obvious. But we’d argue that so many apps fail because they miss one step – existing user engagement. A launch strategy and cross-channel marketing gets users to download your app, but engagement retains your users. Engagement gives users a reason to come back to your app, or drives them to take other actions – like visit your website or purchase an item. Most importantly, messaging allows you to market to the audience you already have – it turns your app into an owned marketing channel. Messages drive users to engage with your app. Mobile users are four times more likely to engage with your app after receiving messages, and two times more likely to keep your app on their home screen. A more engaged mobile audience means more eyeballs on your branded content and more bottom-line-driving actions. 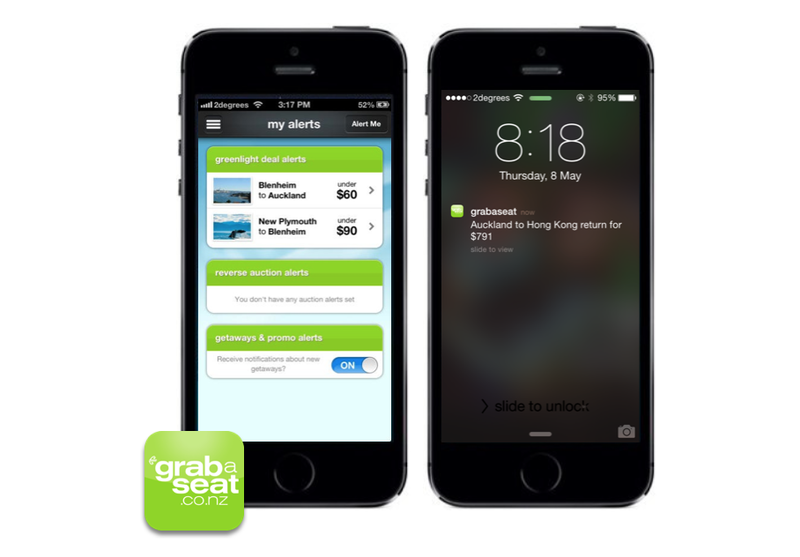 Brands can leverage messages to prompt an immediate action – for example, the Air New Zealand grabaseat app spikes ticket sales by sending personalized price alerts to users interested in a particular route. If kept actively engaged, your mobile audience can be leveraged to drive attention for other activities – such as special promotions, or even to one of your other apps. Think of app users like you would customers in your sales funnel. A good engagement plan includes messages that connect with users at every stage of app involvement, and varies by content type to stay exciting. Communicate with your audience when it matters most. Create onboarding notifications for the first 3-7 days of a user’s experience. These messages should highlight app features and introduce users to your communication style. To keep a spot on users’ home screens, your app must deliver value – let your onboarding notifications reinforce this. Send event-based notifications to keep your audience excited. For example, notify when it’s time to make a move in a game, a new level is available to play, or a new product is available. Use daily reminders to prompt users to re-engage with your app. Excite users with content that’s interesting and applicable to their lives. Lean on real-life tie-ins, such as events happening nearby and holidays, to stay relevant. If something newsworthy happens in a community – like a local team wins the NBA Finals – play off real-time events and geotarget relevant notifications to that audience. “Real-time marketing” is a buzz-worthy term for a reason – because it works. Deploy different types of content to keep users entertained – stagger videos, audio, and other rich media, because boring messages quickly become unwelcome interruptions. Engage your audience with existing marketing campaign elements – for example, drive to your social networks and landing pages. Your mobile experience should reinforce your brand, not create a silo. 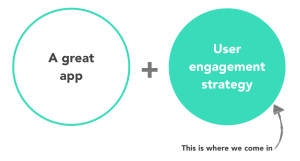 Bottom line – your engagement strategy must maintain your app’s relevancy. Push notifications aren’t enough. While these alerts are great for grabbing user attention occasionally, chances are, sending text-only messages that pop to the front of the phone will get your app deleted – or notifications turned off. Engagement success is all about variety. Alternate push notifications with more subtle in-app messages and ads, and be creative. Incentivize, incentivize, incentivize. This is obvious – give your audience a reason to open your messages. Think alerts aimed at limited time gameplay, new features, or fire sales. Don’t spam! Send messages that focus on benefiting your users and use advanced targeting for maximum relevancy. Experiment to find how many notifications work for your audience – quality trumps quantity. Design for notifications. 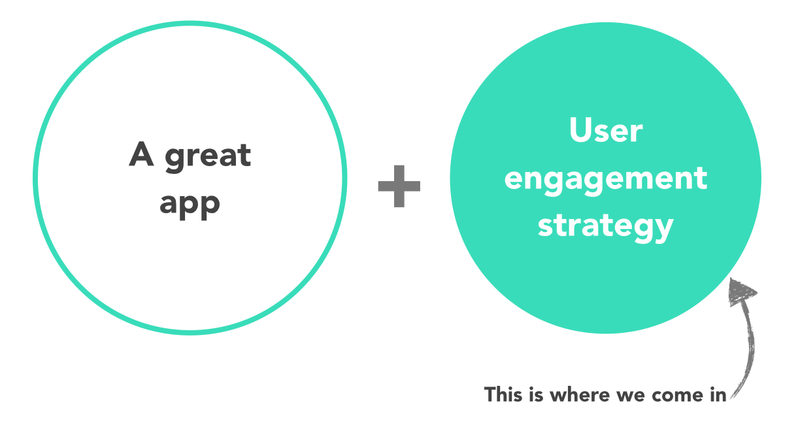 When building your app, consider opportunities to engage users. Designing a branded game? Think player versus player alerts or new levels available for play. Utility or value app? Appointment reminders, savings alerts, and even location-based drives to store work. Just as a brand wouldn’t create a Facebook or Twitter property without engaging its online audience, brands shouldn’t ignore their mobile users. Your audience downloaded your app for a reason – the best way to keep a customer loyal is to show them you’re committed to their needs through engagement. Are you engaging your audience in the best way possible? Find out – contact the Carnival Mobile team.  Archived in Best Practices and tagged App messaging, Tips and tricks, Why brands are failing. Bookmark the permalink.